Want to Use Our Facility? Ministry opportunities in this mountainous country are endless. 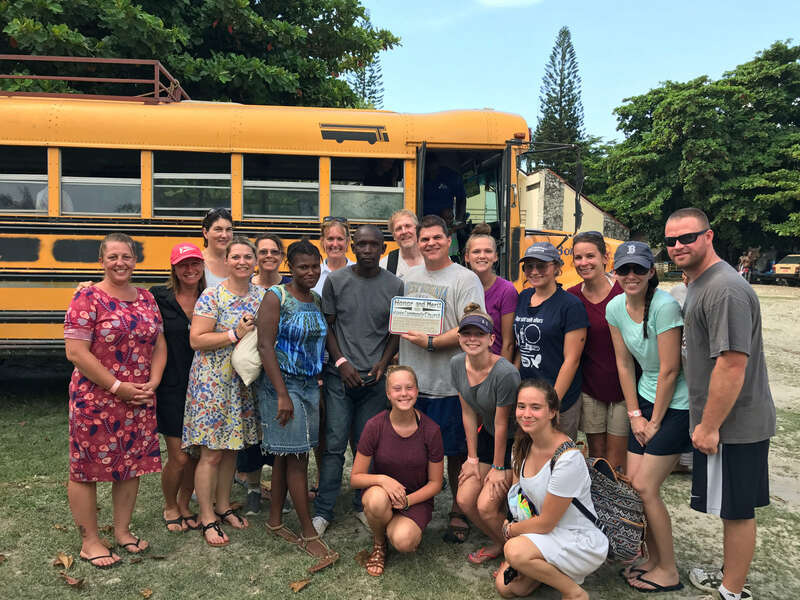 Our recent mission trip focused on community evangelism & development, supporting a new church plant, and encouraging local teams as they strive to build sustainable ministries that make a long-term impact in communities across the country. God has called Haven Community Church to the area of Gressier, about an hour North West of Port-au-prince. Pastor Hug Pierre, has heard God’s calling to start a church in the area. 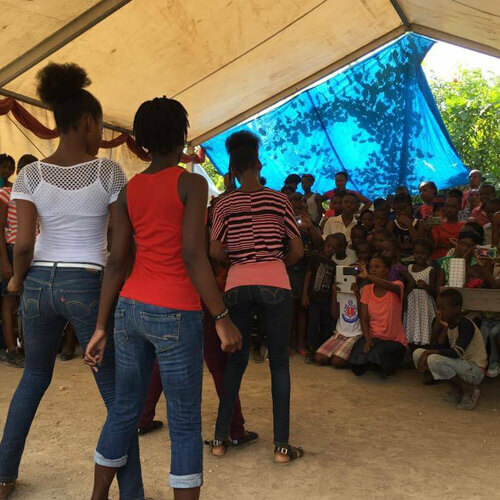 While he has been holding services in a tent on his property, we helped start the permanent building for classrooms to serve the many children. Though needs are many, education is one of the greatest in the community. God calling you to help? Grieving the Loss of Someone Close to You? Join the men’s group every Tuesday evening at 6:30pm. For more info, see Jake Allen. Want to become a member or learn more about Haven? Mark your calendar for our next time to serve dinner. Come help serve the less fortunate in our community. A home owner is Elkton area is in need of help. Join us at the cross every Sunday at 9:30am to pray for our Church, our Church family, community, and nation. All are welcomed. On Friday, April 12th from 7-9 pm, we will be having an evening of worship led by the Haven Worship Team. Come, join us and bring a friend or two.